After moving to NYC to get her degree in fashion merchandising from FIT, Lisa Cahue dove head-first into the industry. She worked behind the scenes at fashion staples like Scoop NYC and Harper’s Bazaar before transitioning into the professional world of acting and modeling. Today, she works in all facets, from design and development to production and showroom. Lisa’s core belief is that to live a happy, full life, one must connect the mind, body, and soul. She empowers people with this mantra every day via her popular blog, Mind Body Swag. MBS inspires fashion, lifestyle, travel, and (lucky for us) beauty followers everywhere. Today, she’s focusing on her entire daily makeup routine. Cahue coins her vibe a "no-makeup makeup" look. "My everyday makeup is meant to be natural, minimal and effortless," says Cahue. "I always believe less is more when it comes to an everyday fresh look. You can never go wrong with a great moisturizer before you apply any makeup. I always make sure my skin is dewy before I even start my routine." So grab your go-to moisturizer and click through for every product you need to cop and every step to take to re-create her signature dewy, fresh-faced look. Cahue starts with cleansed, moisturized skin and preps her face even more with this silicone-infused gel lotion. 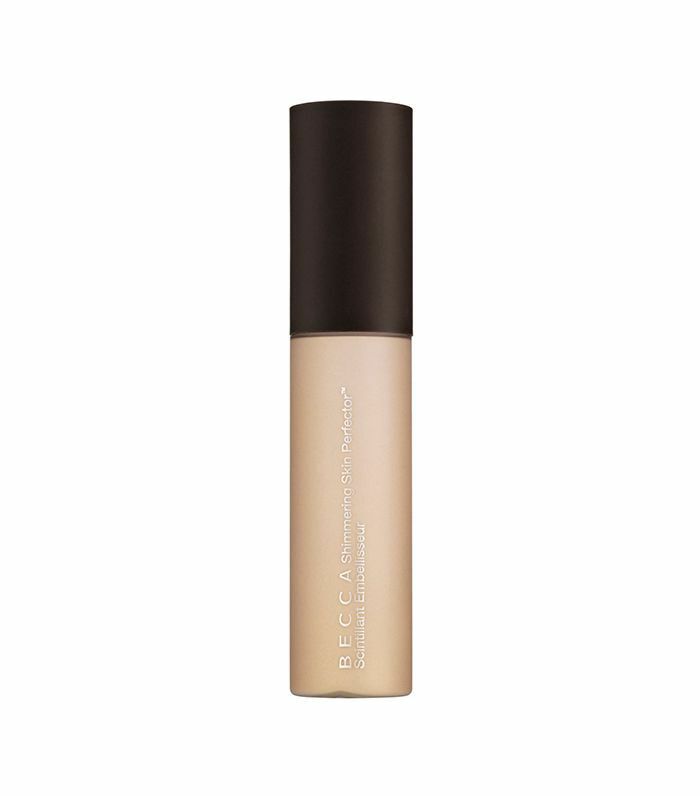 It works to even out your skin tone, combat red tone, and create a flawless veil for foundation coverage. 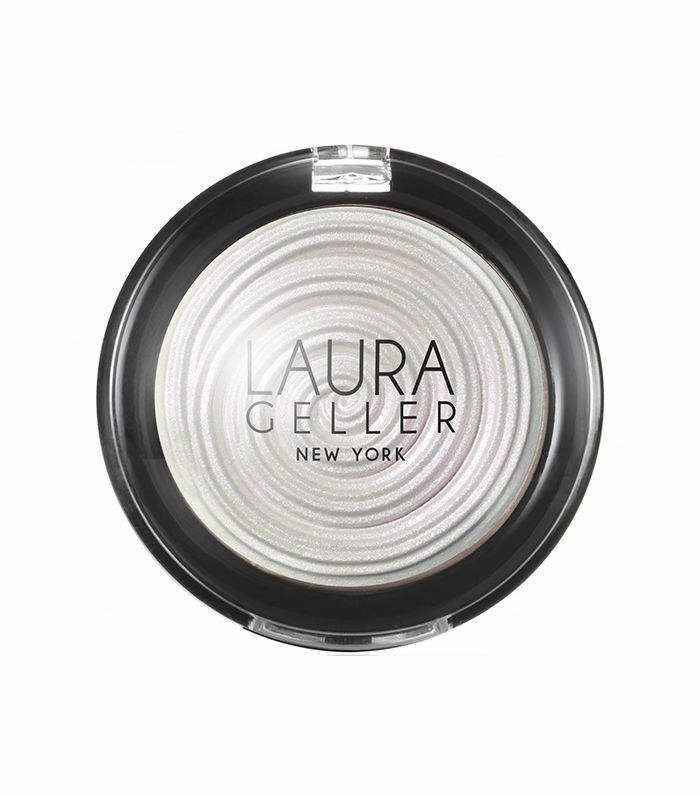 Cahue repurposes this liquid highlighter as a primer. "I’m really into highlighters these days and feel they make your skin glow especially in the light," says Cahue. "You can use alone or under makeup." Cahue is right about the glow-up this formulation gives your skin thanks to its light-reflecting pearls that take things to the next level. "Since I don’t wear foundation every day but still need some coverage for photos, I love a tinted moisturizer," says Cahue. 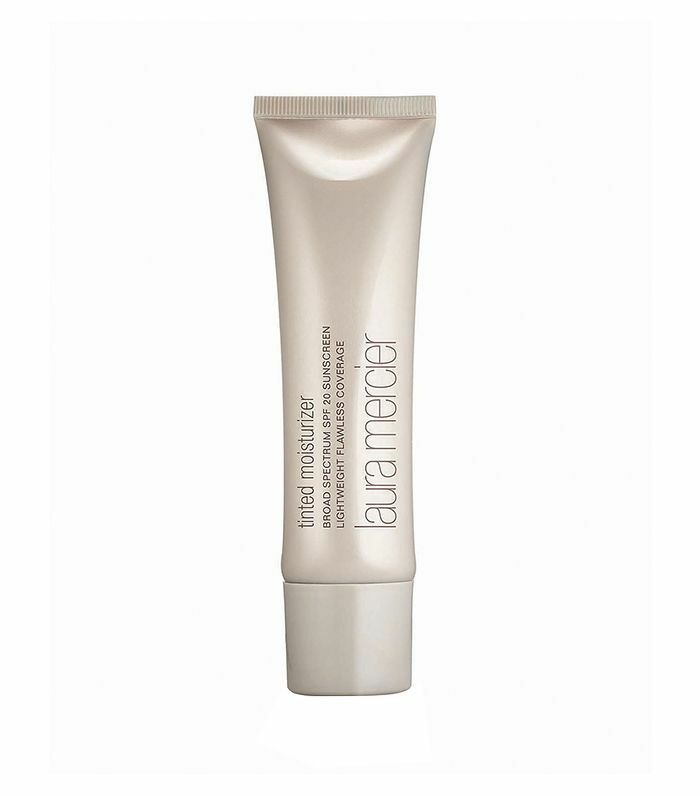 "This Laura Mercier version makes your skin look dewy and radiant." 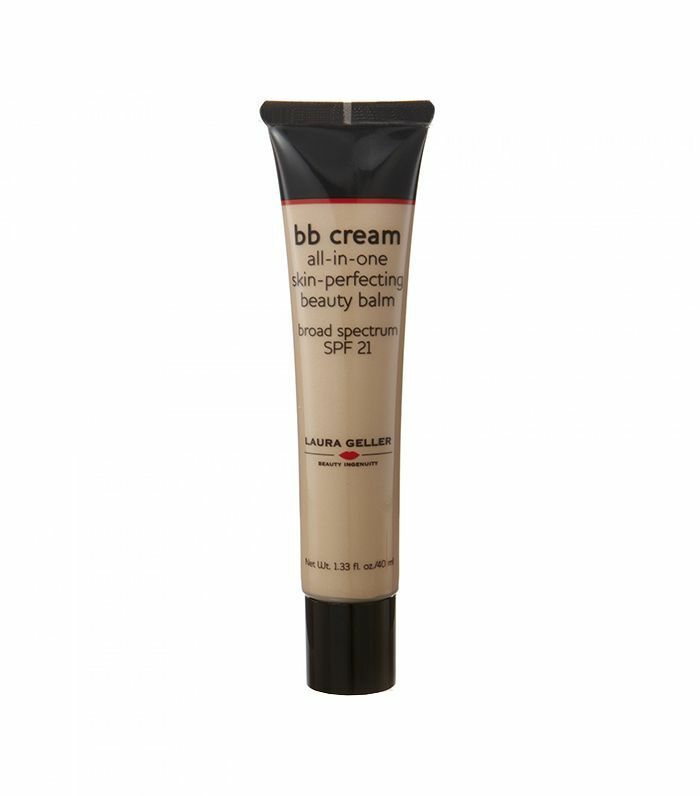 Cahue also reaches for this lightweight BB cream for soft, sheer coverage. Its moisturizing properties keep your skin hydrated while protecting it from the sun. On fancier days, when Cahue is doing a photo shoot or there's a special occasion she reaches for foundation, which happens to be a crowd favorite for the brand. 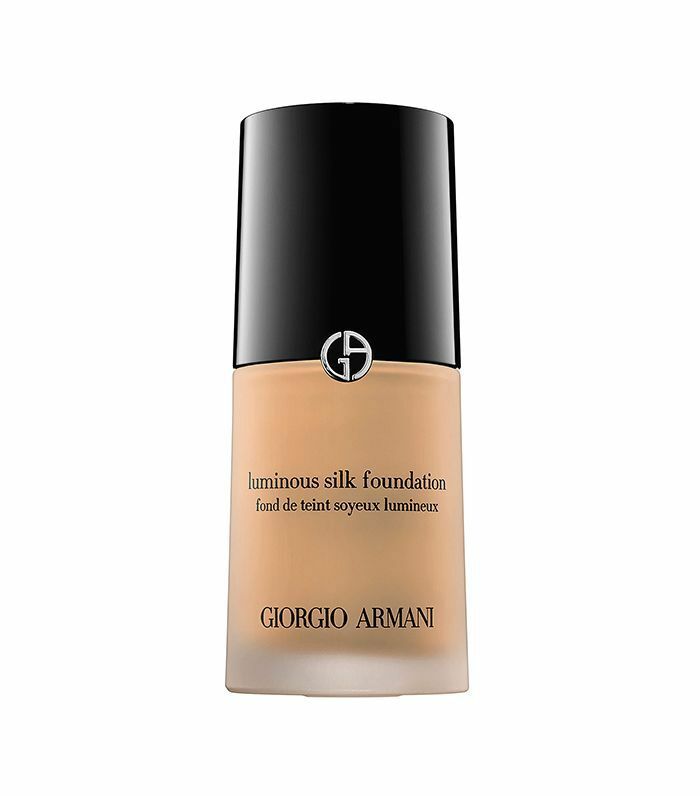 I'm with her on this one—Giorgio Armani Luminous Silk Foundation blurs out my imperfections like no other and gives my skin a silky, filter-like finish that's simply incomparable. Next, Cahue uses a BeautyBlender to conceal with this cult favorite concealer, which is a lightweight, creaseless formula that's extremely blendable and also happens to be an all-time favorite of mine. 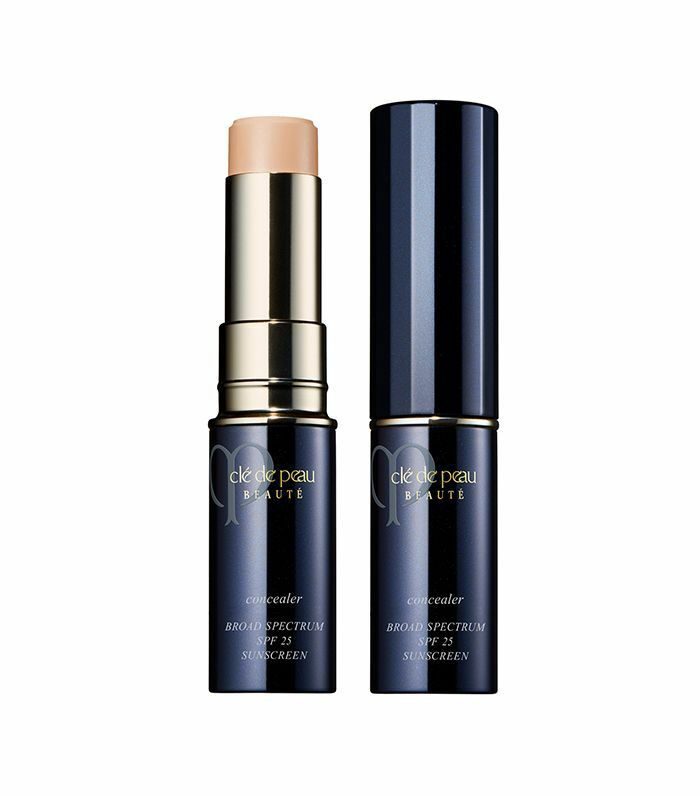 When she needs something a little more heavy duty in the concealer category, Cahue keeps this high-end option from Clé De Peau in her bag. Made to lighten the appearance of dark circles and magically diminish blemishes, this rich concealer stick melt rights into your skin offering super-dense coverage. 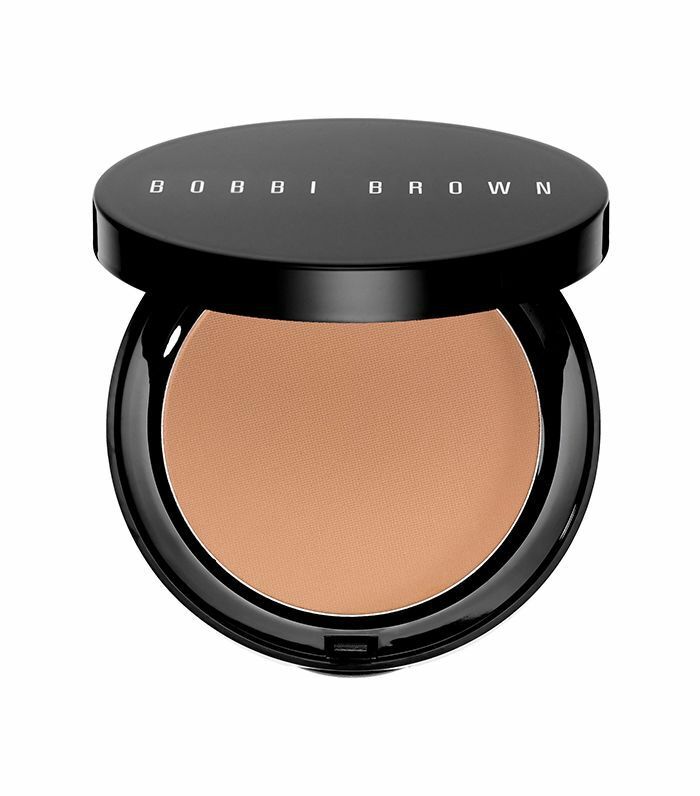 After she's concealed and perfected her foundation, Cahue sweeps this demi-matte bronzing powder all over her cheeks and other areas of her face to blend everything together. 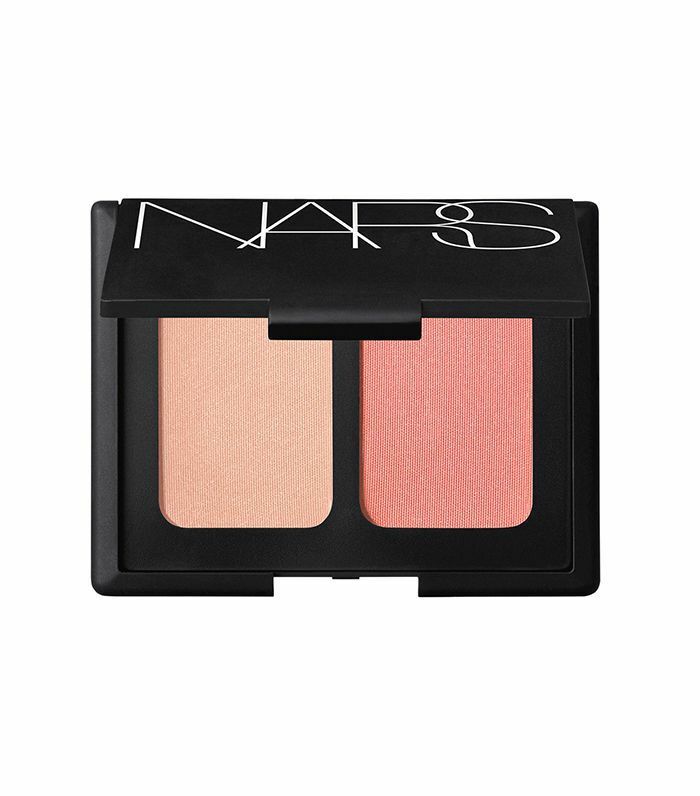 To add depths to her cheeks, Cahue dusts these blush pink shades from Nars onto the apples of her cheeks. 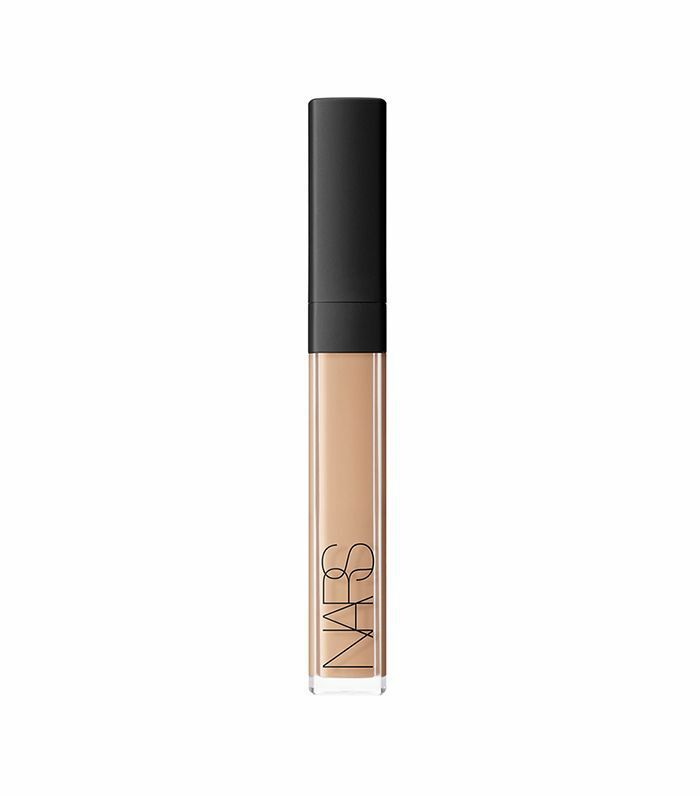 These shades have just enough color payoff that looks natural and luminous at the same time. Next, she enhances her cheeks even more by using Sigma Beauty Tapered Highlighter Brush ($25) to swirl this silver, galactic highlighter onto her cheeks. Imagine the selfie-enhancing powers of this pearly shade. 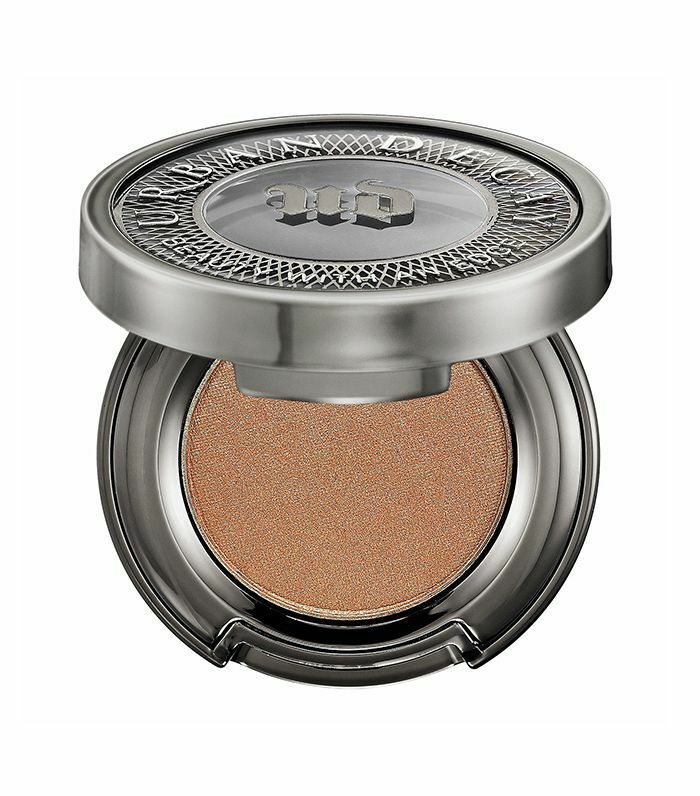 Cahue also loves this 100% pure and natural pigmented highlighter that'll give you a lit-from-within glow. Moving on to the eyes: Cahue sticks with natural, earthy shades like this rich brown to bring a little more life to her eyes. 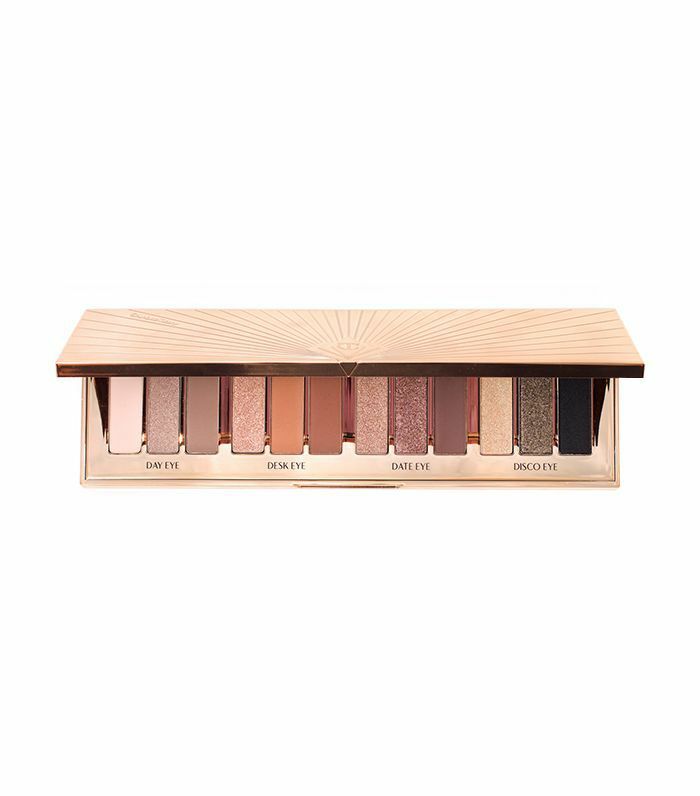 Keeping her eye canvas natural, Cahue uses this Charlotte TIlbury universal palette full of gorgeous taupes and gold shades that can literally take her eyes from day to night. She's also a fan of Too Faced Chocolate Bar Eyeshadow Palette's ($49) shade "Salted Caramel." 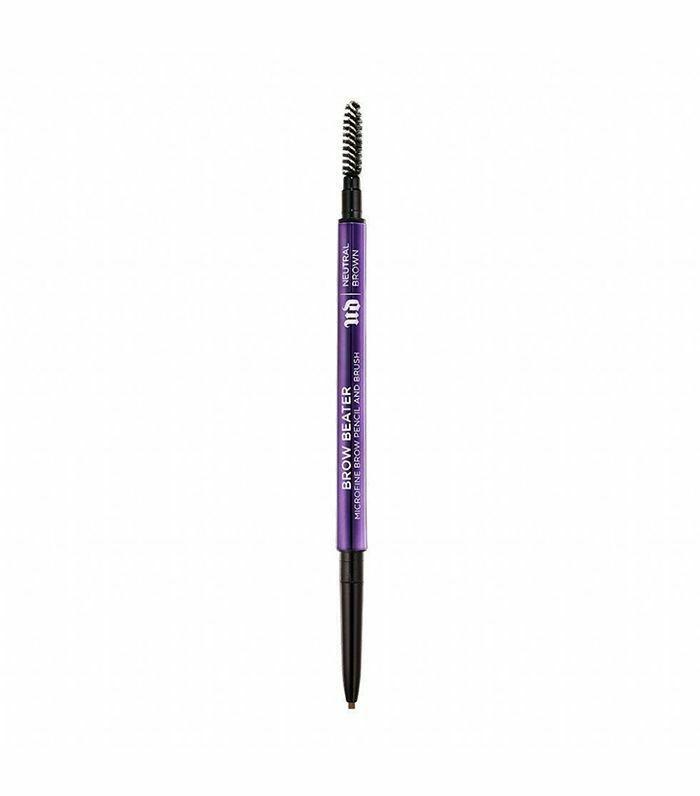 She lightly fills in her brows with this dual-sided pencil that allows her to comb and pencil in her sparse spots with its super-precise tip. After giving her lashes a quick curl with Shiseido Eyelash Curler ($20), she brushes the one and only Diorshow Mascara through them for a little drama. 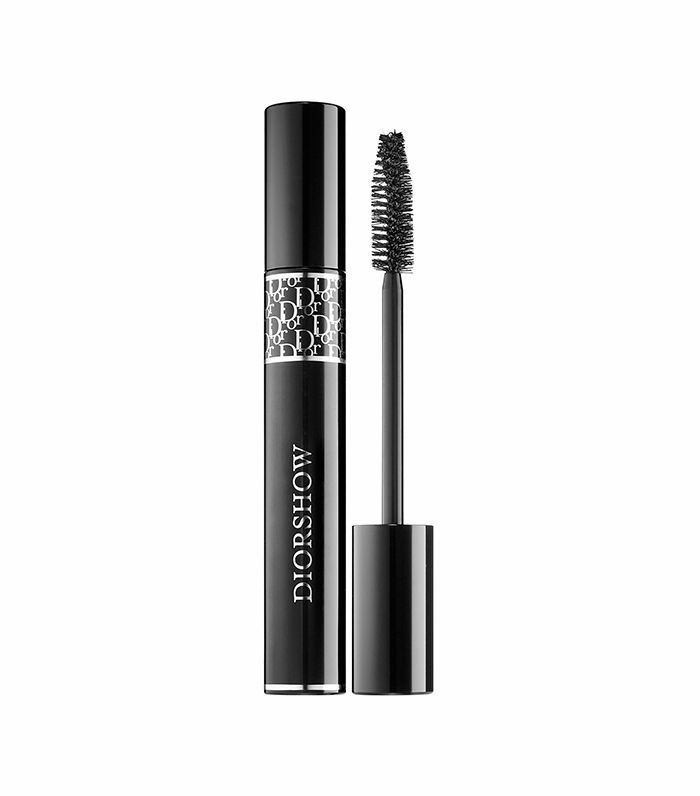 This mascara is made of microfibers, which naturally lengthen the look of voluminous lashes. Lipstick time! 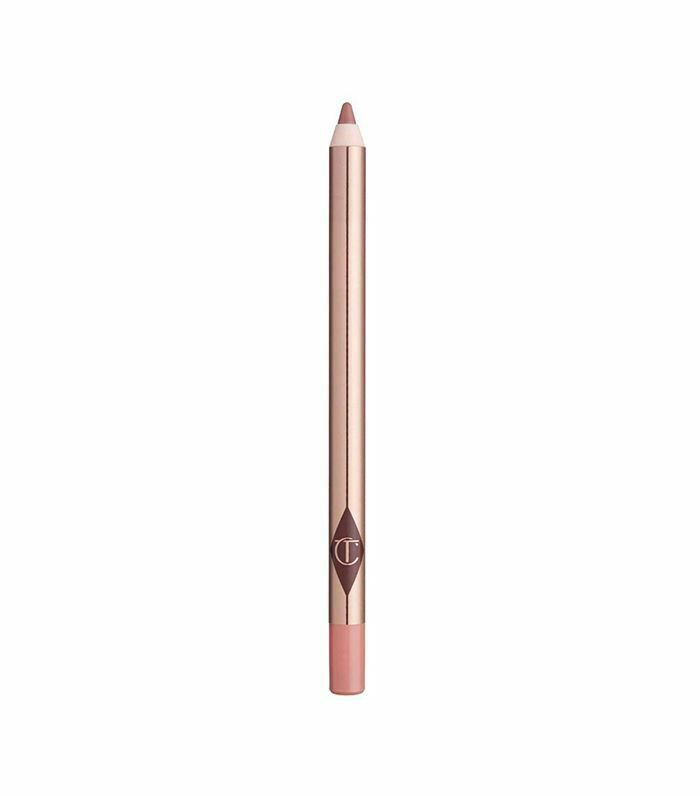 Cahue outlines her lips with Charlotte Tilbury's soft pink lip pencil in Pillow Talk. This is a no-smudge, non-transferrable formula that's supposed to last up to six hours. 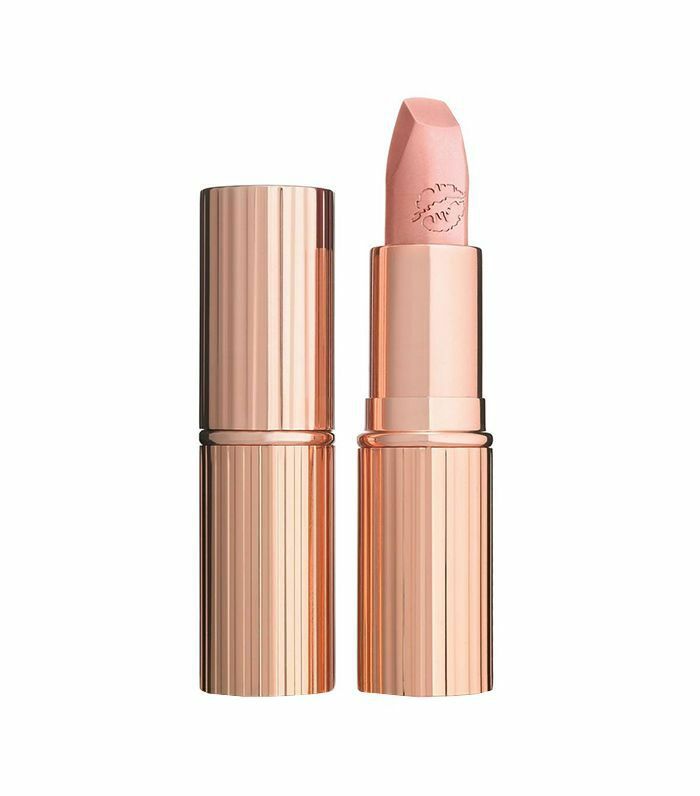 Then, she goes in with this creamy, matte lipstick from Charlotte Tilbury in the shade Kim K.W. "When it comes to lipstick I love Charlotte Tilbury’s Kim K.W," says Cahue. "It's the perfect light pink shade and works perfectly as my everyday lipstick." 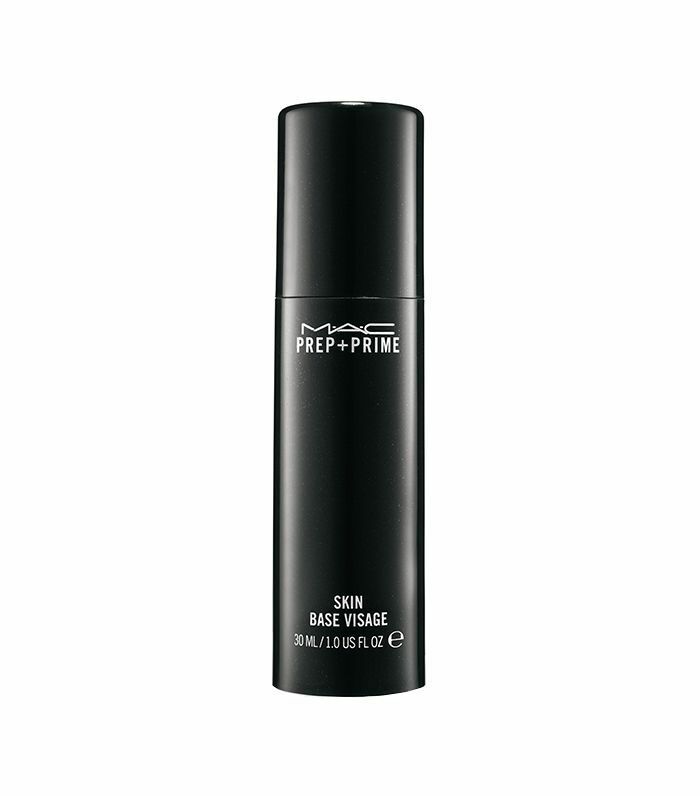 And of course, she finishes her look off by spritzing MAC's Prep and Prime Finishing Mist all over to lock everything into place. I'm speaking from experience, this spray keeps your makeup in place for hours. It also leaves behind a dewy, radiant sheen that looks stunning in photos.